The gingival curettage is a technique used to clean the inside of the gingival wall of any diseased or damaged soft tissue. The procedure can be used during scaling (the removal of deposits from the root surface) or during root planning (the removal of the necrotic tooth substance). Curettage can be performed as part of these procedures or as a stand-alone procedure. The dentist will use this technique as part of the periodontal treatment. Curettage alone will not eliminate the causes of inflammation but our dentists will be able to provide you with a complete dental treatment for any gum problems. Curettage can be of two types: gingival and sublingual. The difference between the two is the area where the procedure takes place. The gingival curettage is performed lateral to the pocket wall where the inflamed or damaged soft tissue is removed. The procedure for subgingival curettage is performed in order to sever the connective tissue attachment down to the osseous crest. Local anesthesia is used for this simple dental surgical procedure. The dentist will use a sharp curette in order to remove the tissue. The dental instrument is inserted into the tooth pocket with the sharp edge facing the periodontal pocket. 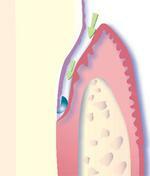 The dentist will then use a horizontal stoke to remove the inflamed tissue from the pocket. After the inflamed tissue is removed, the dentist will flush the pocket. Curettage is used when the patient suffers from periodontitis: the inflammation and infection of the gums. It is used after scaling and root planning, alongside periodontal surgeries or in case of a recurrent periodontal infection. In some cases the procedure might be contraindicated, like in patients who have an opening of the pocket that is too narrow. 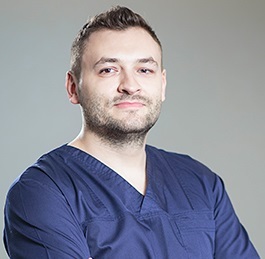 One of our dentists in Bucharest will perform an initial examination and will be able to tell you if this is a good option for you. 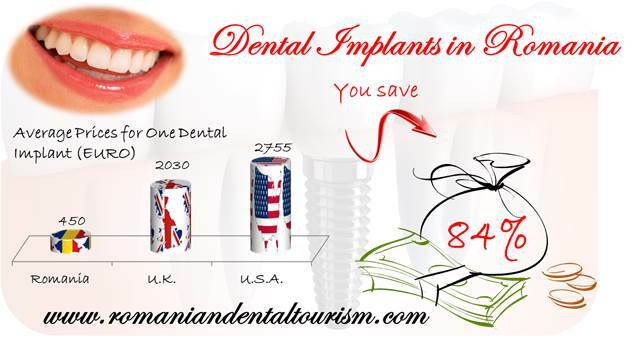 If you need more information about periodontal therapy you can contact our dentists in Bucharest. We will be happy to give you additional information about the procedures you need to perform as well as advice for dental treatments abroad.